Last time we went to Bocca, we were at their first branch in Mohandseen. 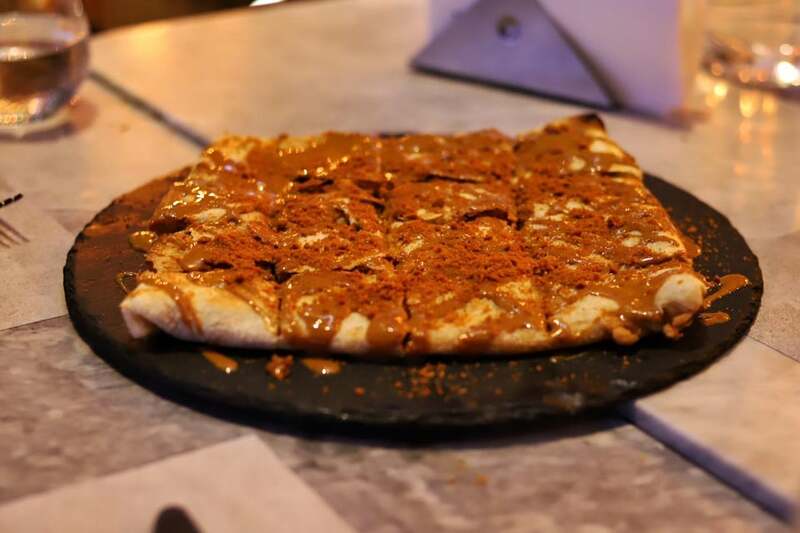 This review takes place in their second branch, located in Sheikh Zayed, and let’s just say that the menu got a whole lot bigger and way more delicious than ever it was before. Located inside Capital Promenade, Bocca is divided into a cosy and calm indoor area, and two outdoor areas; one right at the entrance, and the second one is on the top floor. Sadly, none of three three areas are smoke-free zones. Moving to the food, all the appetisers were tempting, but so were the mains, which is why we decided to skip the appetisers and try three main dishes. 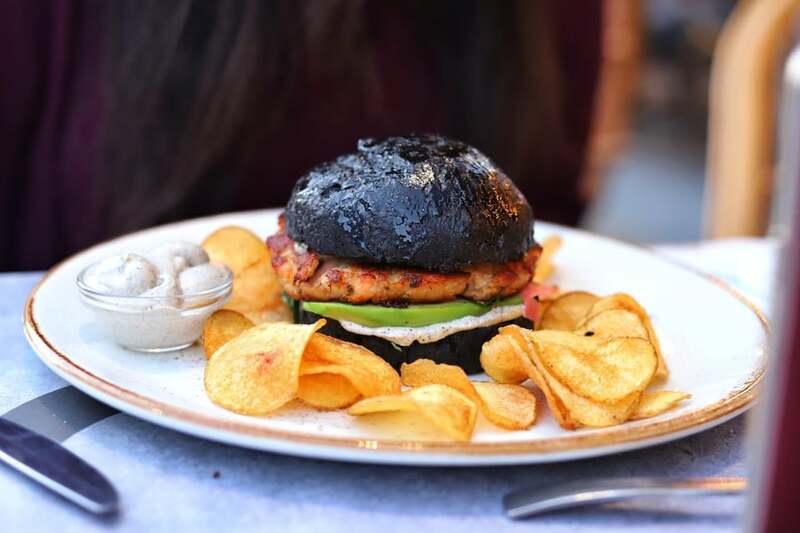 Our first choice was the Black Bun Salmon (125 LE), which came in the form of a slightly dense black charcoal burger bun, filled with a perfectly seasoned pan-seared salmon burger patty. The patty was topped with pickled ginger that complimented the salmon well. Along with the pickled ginger were avocado slices, tomato, and cucumber; these fresh vegetables helped lighten up the taste. The overall flavours in this sandwich were perfectly balanced and remarkable. The burger was served with well-prepared homemade potato chips and fantastic pepper mayo for dipping. The second main dish was Crispy Chicken Scaloppini (165 LE). 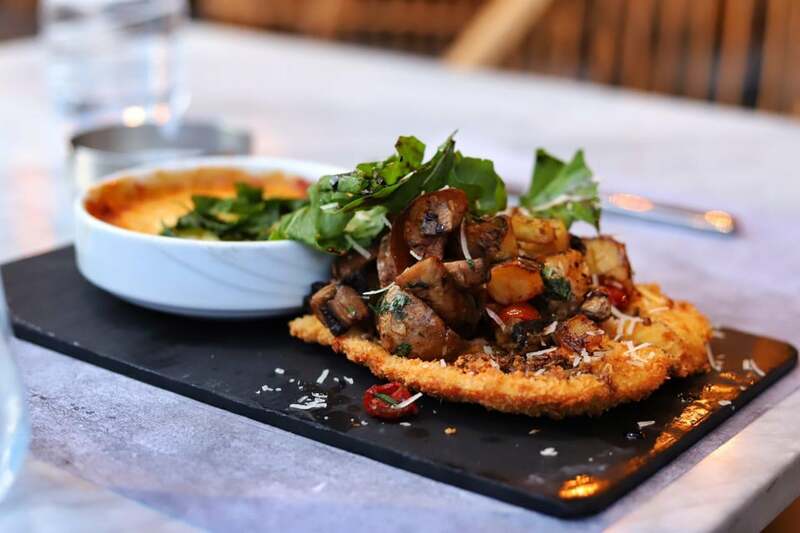 Served with melanzane, which consists of eggplant slices topped with a well-seasoned chunky tomato sauce and loads of cheese on top, the chicken breast had a perfect golden parmesan crust which was also topped with a mix of potato cubes, cherry tomato, arugula, and shredded parmesan. Yes, the dish was well-executed but the portion size compared to the price could be a bit debatable. 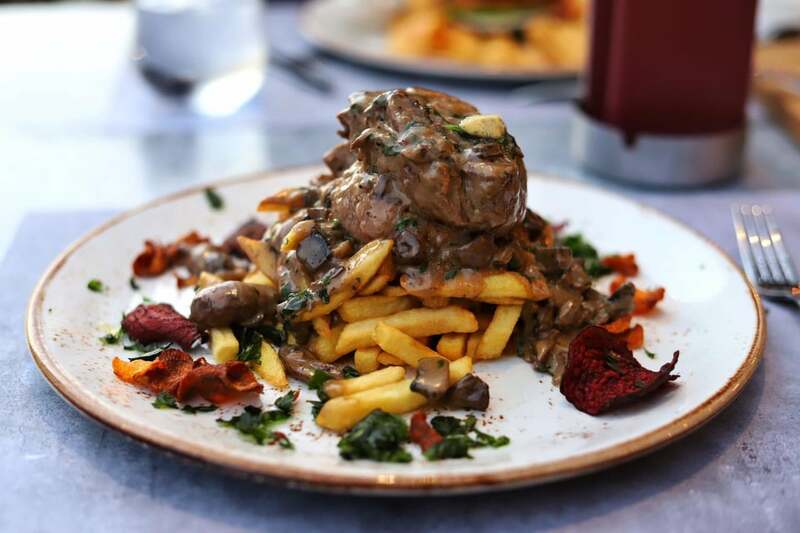 Steak & Fries (240 LE) was our last – but not least– main dish, and let’s just say this was our favourite. We mean, how could you go wrong with crispy fries topped with two super tender beef medallions, cooked medium as requested, showered with rich and creamy mushroom sauce, a piece of herbed butter melting to spread its deliciousness all over the dish, surrounded by beetroot and sweet potato chips for an extra sweet crunch? We’d eat that every day but then again, steep prices will stop us. We’ve heard a lot about their feteer, which is why we went with their Lotus Spread Feteer (110 LE) for dessert. When it comes to the feteer itself, we loved that it was light and we also enjoyed the pleasantly chewy texture. However, the cream cheese filling overpowered the lotus biscuit crumb and made the whole thing way too heavy. Overall, we can easily say that Bocca impressed us with their flavours and wide variety on the menu, not to mention the terrific service and the fun ambience. The dessert and the steep prices.